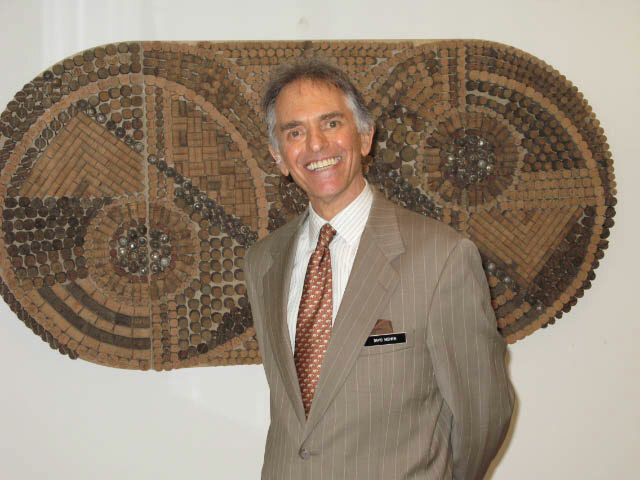 David Mishkin studied fine arts in his native New York. 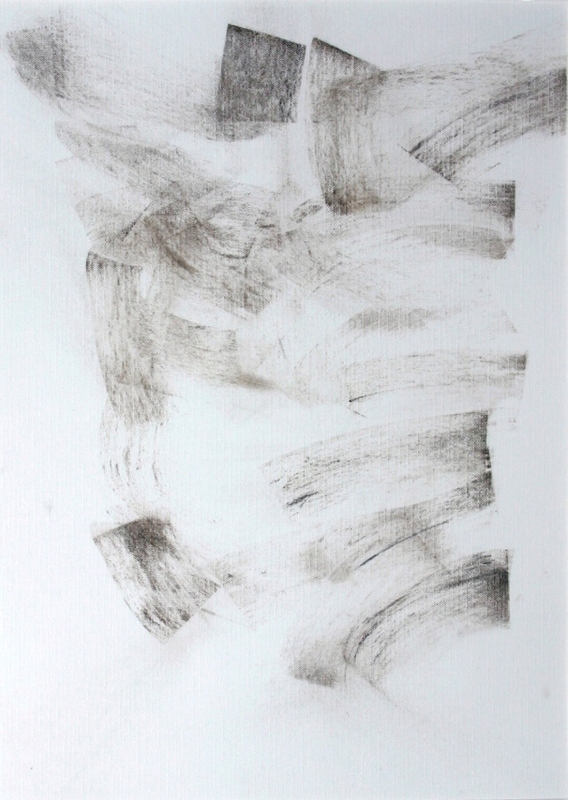 His artistic passion was first expressed in drawings, monoprints, sculptures and abstract art. Returning to France in 2001, he undertook CORK ART in free standing sculptures, collages and montages. 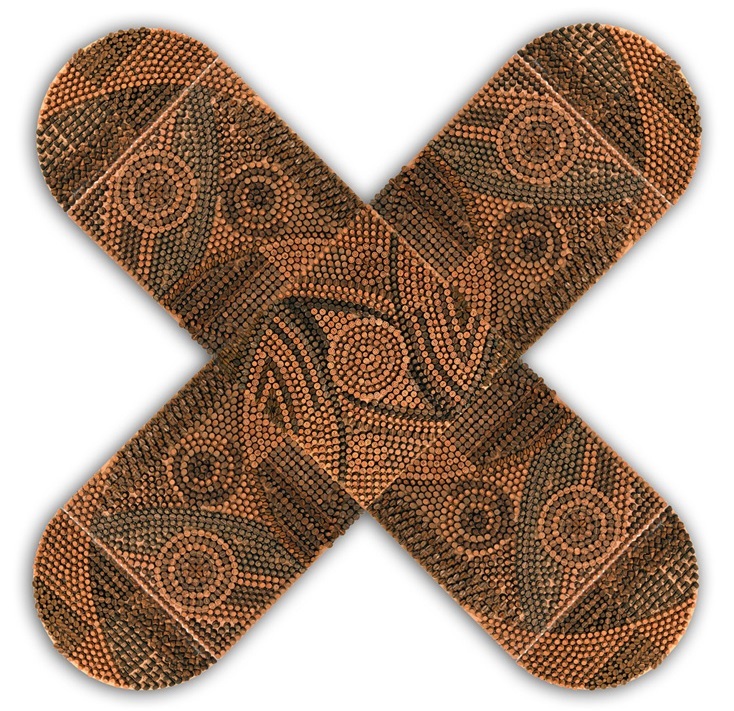 Geometric art emerged in his limited edition giclée prints where meticulously photographed CORK ART images are associated, joined and even layered invisibly allowing for the interaction of designs. Education: Queens College AB; Columbia University MA; University of Illinois Ph.D.; Stanford Research Institute and MIT Sloan School post-doctoral studies. The collage construction work process begins with small clusters of sorted materials selected from cork piles. These seem to align, to suggest curves and lines that often oppose each other forging abstract dynamic spaces. The size of the finished art expands with each lying down and uprooting of these small clusters until elements evolve as certain and unchanged. These are glued to each other or to supports. Open spaces remain to be resolved in the same manner, complicated at times by the insufficient quantities of desired materials. The completed abstract geometric works are meticulously photographed resulting in perfect focused, high density images. Such photographs became the starting point of a new aesthetic; images true in every detail to the original art are transformed into abstract geometric forms. Here, the exactitude of the original art is rewarded. In the limited edition giclée prints images are associated, joined, even layered invisibly, their unassisted matching assured. 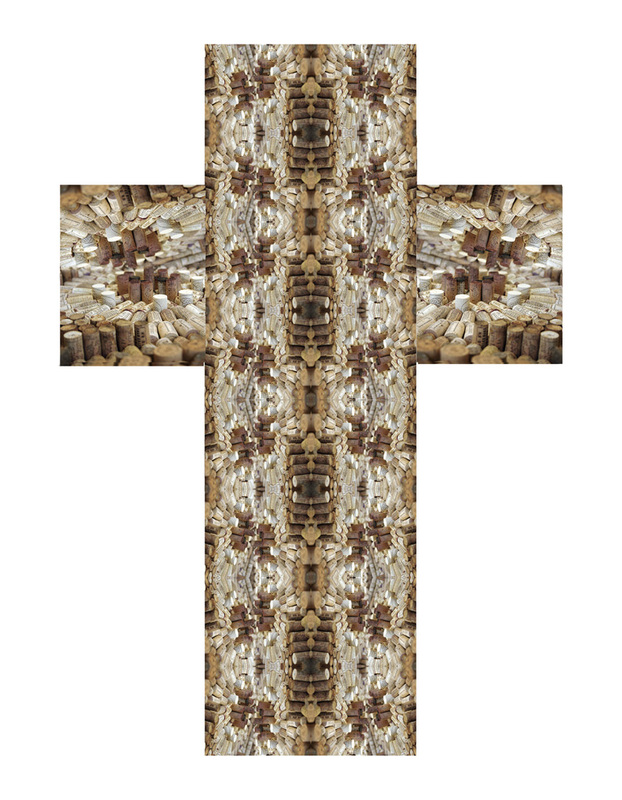 The Cross (80 x 60cm) is a giclée print created from a CORK ART motif. The Byzantine Cross (400 x 400 x 12cm) is a collage of Champagne corks. “In order to communicate the message entrusted to her by Christ, the Church needs art. Art has a unique capacity to take one or other facet of the message and translate it into colours, shapes and sounds which nourish the intuition of those who look or listen. Art offers both a new dimension and an exceptional mode of expression for the artist’s spiritual growth.” LETTER OF HIS HOLINESS POPE JOHN PAUL II TO ARTISTS, Easter 1999. The Monastery of Notre Dame and the Basilica of Saint-Benoît, both nearby, sustain inspiration I receive from Saint Jean Paul II. His prodigious understanding of art in religion and religious belief is a benediction expressing love transmitted by art in all its forms. Torso of the Christ (40 x 30cm). A free hand charcoal drawing. As an artist I believe in a capacity and ability to create significant art. That belief is personal. It is inspired by believing in a source, by having faith and being faithful. Faith accepts and embraces the unbelievable. It offers forgiveness to those who ignore art or who are uninspired by it. Created during Jubilee of the Misericorde (mercifulness) year, the Cross of the Christ child invites a viewer to stroll among theological virtues, sensing them anew. By its gaiety, it seeks to reopen the viewers’ approach to the message entrusted to the Church by Christ. It insists on art’s unique capacity to take facets of that message and to translate it into colors and shapes. The Cross is a place of gathering, of sharing. It is a symbol of belief, constantly evolving. It offers communication with others and with self, with dreams and emerging realities. Religious art instructs visually, forcefully. It shares and enlarges belief. The Cross of the Christ child is a personal affirmation of Saint John Paul II’s 1999 Letter… To Artists. 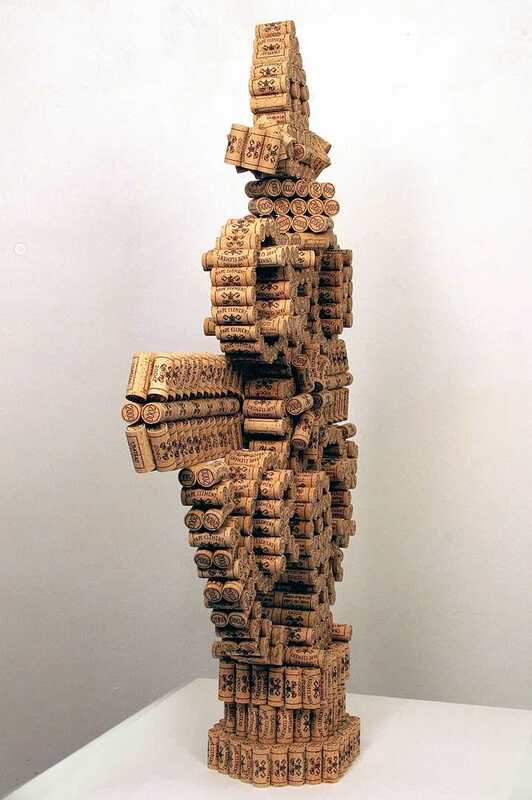 The Cross of the Christ child (306 x 236 x 33cm) is a collage whose corks are uniquely from wine of the historic L’énfant Jésus vineyard situated in the Grèves area, nearby Beaune, France. The curved cross measures over three meters in height. It is decorated with corks on all surfaces (front, sides & back) to a maximum thickness of 33cm. Its rare corks (about 2000) are glued to a beech wood core. On each side of the vertical member of the cross are different figurative interpretations of the three theological virtues: faith, hope and charity. Faith is represented by a cross, Hope by an anchor and Charity/Compassion by an enflamed heart. The uplifting horizontal member of the cross presents largely abstract designs.